• Casino.com Review - Easy To Use And Respected? Finally! 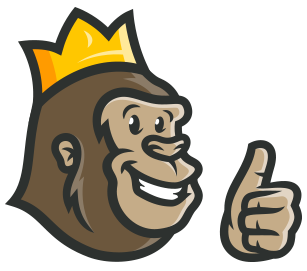 An online casino that excites the Casino Gorilla right from the gecko. Maybe it’s because this reputable casino is ornamented and themed like a jungle, or it’s the mere fact that Casino.com is a genuine operator down to the tee. Punters are invited to register and then start playing with an unparalleled ease. 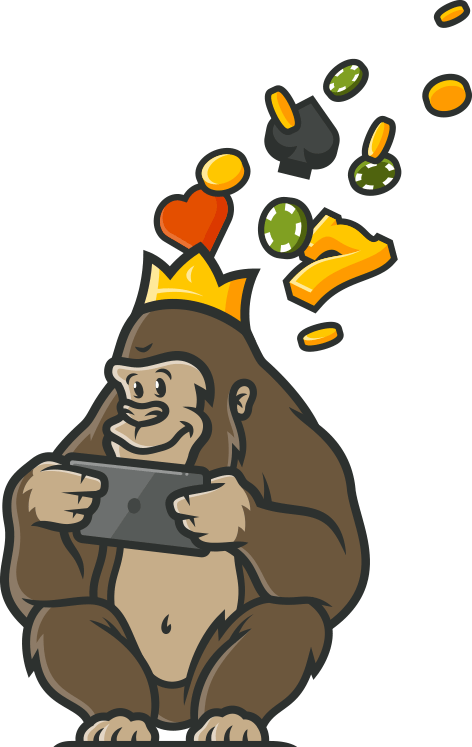 The Casino Gorilla was impressed by the way this state-of-the-art casino allows players to navigate the site with a convenience that pampers even the finickiest of players. Read through to find out what left the Gorilla smirking all day like a Cheshire cat! Make you first deposit at Casino.com and you’ll it will be doubled right away with a massive 100% match up of up to £100 which will be accompanied by a further 180 free spins. All you need to do is register with the casino, deposit a minimum of £20, and the welcome package is yours. Of course, this comes tied with a number of wagering requirements that needs to be met before you can enjoy the fruits of the welcome bonus. The welcome offer will keep changing with every season, so it’s important to always check the display box at the homepage where the actual bonus is reflected. Other types of promotions will also be displayed on the ‘promotion page’ to keep those existing players rewarded and jammed within Casino.com. If you’ve got a hunger for VIP and Luxury promotions, you will certainly get this at Casino.com. It’s in the casino’s DNA to reward all kinds of players at the site, whether higher rollers, novices, or seasoned bettors. Casino.com has three loyalty levels—bronze, silver, and gold, which you can move up when you maintain play at the casino. Within all levels, players have access to special bonuses, customer service, loyalty schemes, and regular deposit offers. Of course, the promotions party doesn’t end there…Upon registration, you’ll get 20 free spins instantly (no deposit needed), to enjoy on awesome Age of the Gods slots. So, in total, the welcome package offers players a total of 200 free spins—20 no deposit free spins plus another 180 after you make a minimum deposit of £20. Loyal players are also rewarded regularly with free spins from time to time. Slots devotee? Keep an eye on the casino’s announcement page to avoid missing out on free pins! Whether it’s the 20 free spins no deposit, or the 100% match bonus of up to £100, players will not need a bonus code to have their bonuses added to their accounts. Once you register, the free spins will be deposited to your account automatically and immediately. After you make your initial deposit of £20 or more, the amount will also be doubled up automatically. In case this doesn’t happen, contact the casino’s helpful customer care to get the issue resolved ASAP. Casino.com offers its players a plethora of slots games most from industry leader—Playtech. This gaming giant deliver the complete solutions and game-changing results for some of the world’s biggest brands, including Casino.com. As pioneers of Omni-cannel gaming, Playtech offers seamless, anytime, anywhere gameplay of the definitive gaming experience as well as best-performing content. Expect to find games that are not only quick in gameplay, but also with excellent pay lines. There are hundreds of options available including Age of the Gods versions, Dragon Kingdom, the Jazz Club, The Mummy, Esmeralda, Dr. Lovemore, Everybody’s Jackpot, Adventures in Wonderland Deluxe, Easter Surprise, Jurassic Island, Land of Gold, Irish Luck, Jackpot Giant, Fields of Fortune, Vacation Station. Tres Amigos, Top Gun, and many more. Live game fanatics are in luck because Playtech just underwent major refurbishing. Its entire live games operations have been moved to Latvia, virtually becoming neighbors to eternal rivals Evolution Gaming. Along with this move came major upgrade to posh new backdrops and clearer, faster video streaming. Various versions of live games are available at the casino including live roulette, live blackjack, live baccarat, Live Mahjong Pai Gow, and Live Sic Bo. Since Casino.com is full responsive, punters can access nearly all games from almost all kinds of screens. This means the casino is compatible with nearly any kind of mobile device across various operating systems such as iOS, Android, or Windows. One of the greatest things about Casino.com is that players can access games instantaneously via their browsers (flash mode) or download the casino’s app from native app stores for even better play. As mentioned previously, Casino.com is a well-respected brand that operates fairly and transparently. Impressively, the casino displays player winnings and all the pay-out conditions in an exemplary manner on its homepage. Independent audits are also well documented and displayed on the casino’s site. Casino.com is operated by ONISAC Ltd an established company under the license of Gibraltar Licensing Authority. In the UK, Casino.com is licensed and regulated by the United Kingdom Gambling Commission (UKGC). Through a stable partnership with GambeAware, the casino prevents persons under the age of 18 from participation, while also promoting responsible gambling behavior. A friendly support team is available at Casino.com 24/7 all year round. In case you face any issue regarding your account, feel free to contact customer support via Live Chat, +44 350 200 44793 (Toll-free for UK players), or email [email protected] More information about the casino can be accessed via various pages including a resourceful blog, help, fair gaming, security and privacy, terms and conditions, and more. Although Casino.com has a global clientele, players from various countries are exempted from participation. These countries include USA, Australia, Spain, Singapore, China, Slovenia, Philippines, Macau, Portugal, Turkey, Belgium, Bulgaria, Cyprus, Estonia, France, Lao People’s Democratic Republic, Central African Rep, Eritrea, Myanmar, Israel, and 44 other nations. Please visit the casino’s terms and condition page to view your jurisdiction’s accessibility. As you’d imagine, Casino.com is right at the crosshairs of being searched on the web and holds one of the easiest names to remember for any punter. In view of the foregoing, the Casino Gorilla was enormously impressed by what the casino site has to offer. Established in 2007, this fun and user-friendly has been bursting with exciting games, giant jackpots, excellent offers, and more. In fact, the reviewing guru has decided to stick around this casino jungle mingling with other mysterious creatures while supping one of casino’s mainstay feature—the Lucky Jar! I won right way with the bonus spins after signing up and I didn’t even have to deposit. The slots are fun and have many bonus rounds. I keep winning when I play, so Casino.com is a top choice for me! This was a no-frills experience for me, very simple to navigate the site and the selection of games were great. I loved how the terms and conditions were laid out very clearly, I appreciated the transparency. A trusted and fun casino. Would definitely recommend.